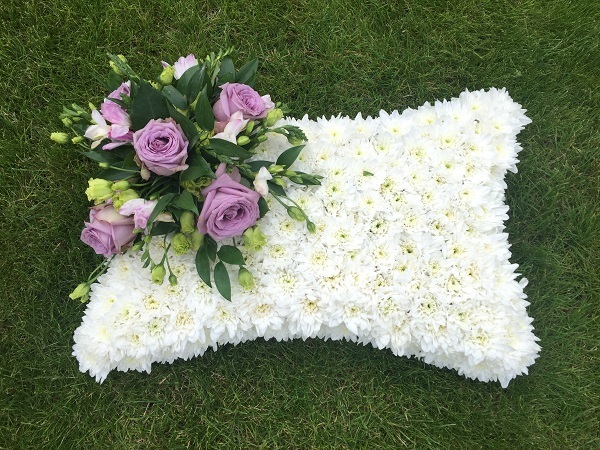 A classic cushion shaped tribute available in a range of colours using our freshest flowers of the day. 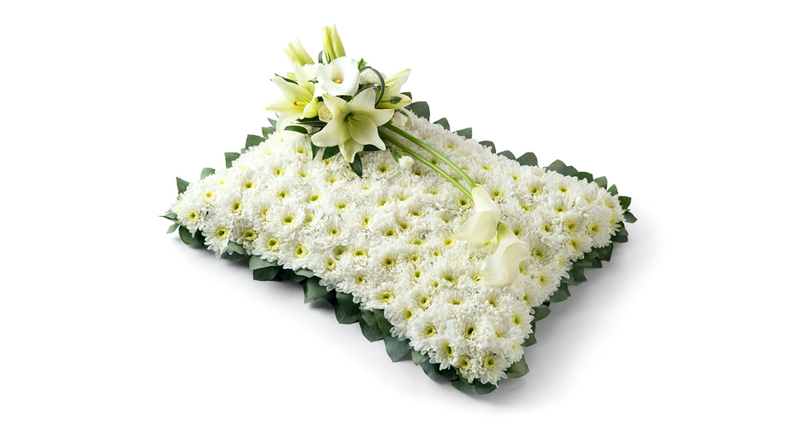 The classic design is created using white chrysanthemums and finished with any color flowers, ribbon or trim, complemented by lush greens. 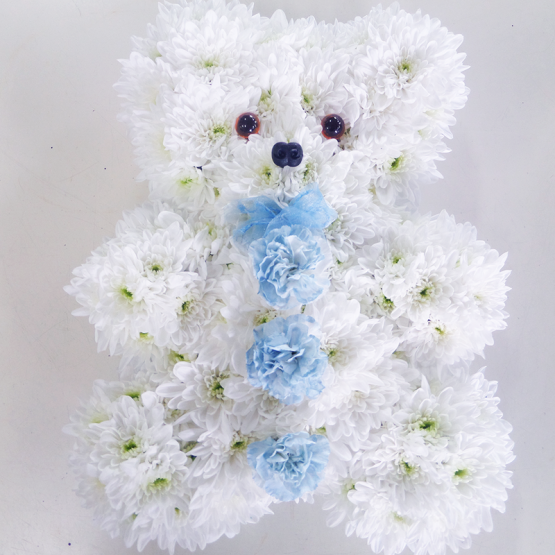 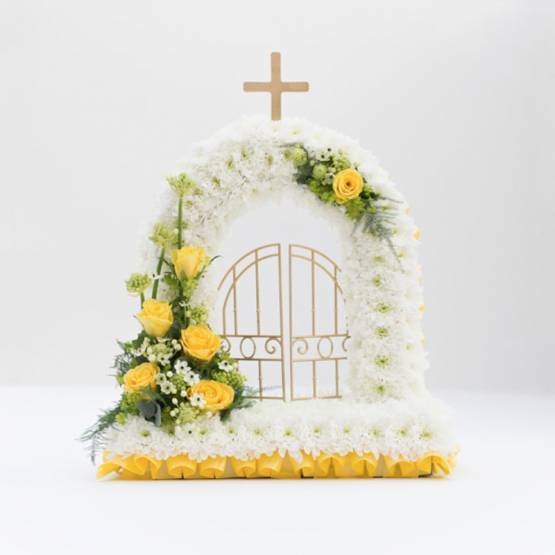 We can customise this design as per your requirements with any combination of colors or flowers depending on their availability. 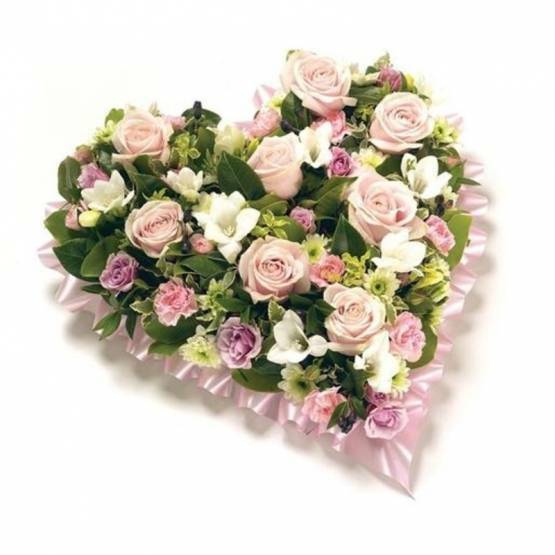 Please note price will vary. 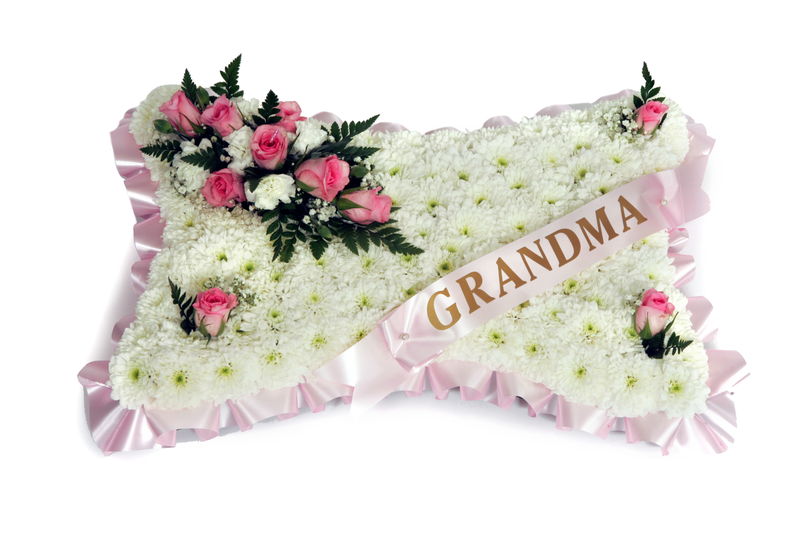 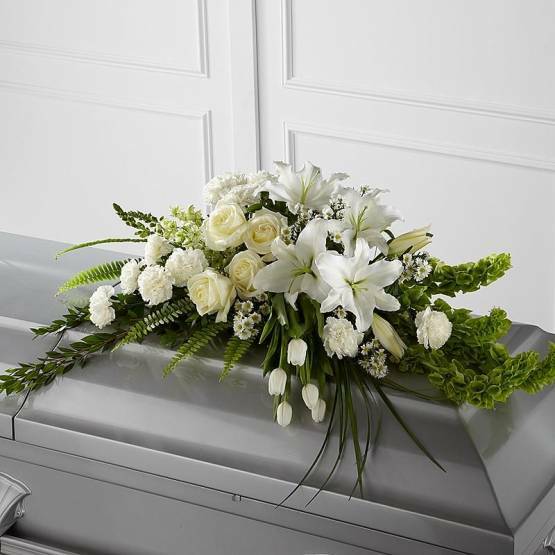 The price shown here is for the classic cushion shaped design in a standard size with florist choice of flowers. 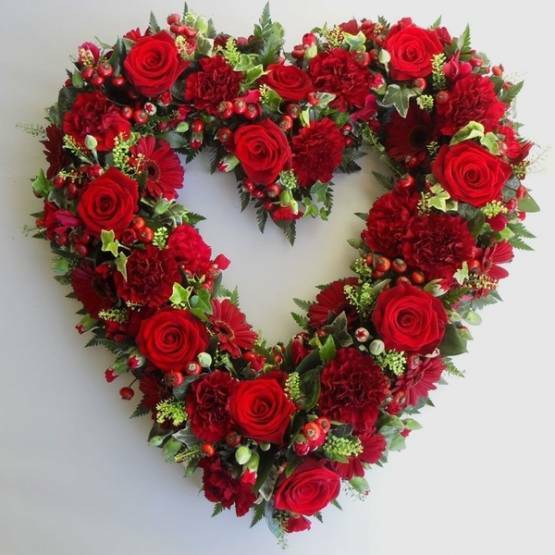 Please contact us or send us details in the Special Requests box below for any custom colors, combination of flowers or any cushion shaped design that you would like us to create for you.